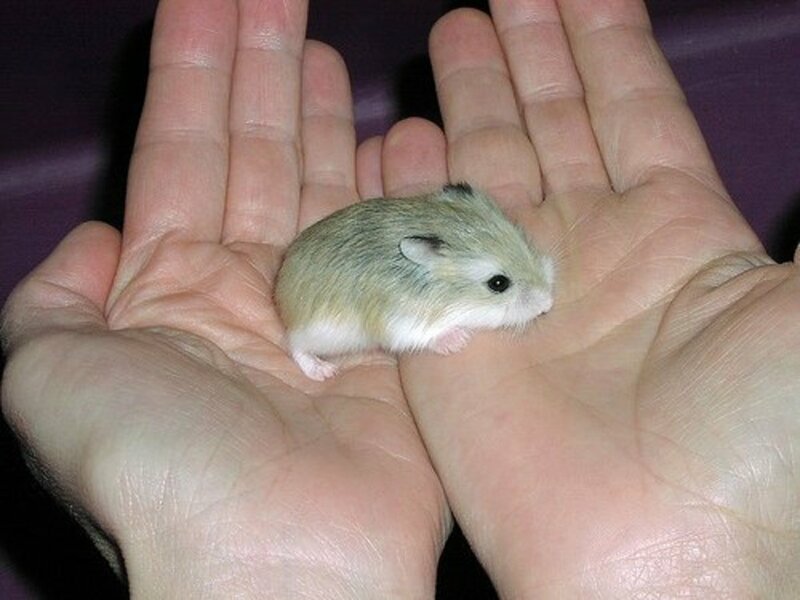 The Syrian hamster, also known as the golden hamster has enduring appeal for children and adults. Now available in a wide range of colours as well as the attractive golden of the first pet hamsters, they can be kept cheaply and smell less than some other rodents which is a plus in a small apartments. For people who are put of by the tails of mice and gerbils the naturally very short tail is a bonus. The average lifespan of a Syrian hamster is 24-30 months. Although it can be sad to have a pet for such a short time, it makes them ideal pets for people who don't want a long term commitment. It's also reassuring for parents who worried that they will be left looking after a pet for years after their child has lost interest. 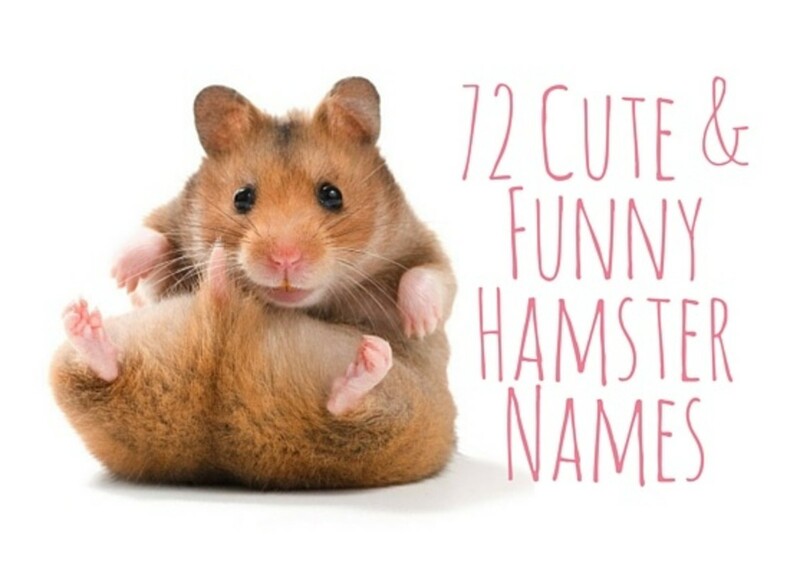 What Does a Hamster Need? Not all hamsters like to sleep in a house, but most enjoy the sense of security. A small cardboard box will do. Syrian hamsters are naturally solitary animals and are rarely happy sharing their space with another hamster. Do not try to keep two in the same cage. Cages which mimic a burrow system - these have 'rooms' and connecting tunnels such as the 'Rotastack' and 'Habitrail' systems. These tend to be the most expensive option but can be fun for the hamster if you purchase lots of different sections. They can be fiddley to clean and I found hamsters quite often escaped from the rotastacks. Fish Tanks - With a heavy lid made from wire tacked to a frame of 1" square wood these are the most hamster proof option with a low escape rate! They are good for providing a hamster with a depth of shavings if it enjoys burrowing (not all do). A tank topper is a good way of converting a smaller fish tank in to a quite spacious hamster apartment. Traditional cages - lightweight, easy to transport and reasonably easy to clean. The smallest wire cages make a dull option for a hamster, but ones with multiple floors give the hamster room for exercise. Despite the fact that they were not designed for running around in trees hamsters are remarkably agile and many entertain themselves by scrambling up and down the wire sides and using the roof as monkey bars. Design Your Own - my first home made cage was not a world class success - made from wood, the hamster inevitably chewed through and escaped. Since then I have had some success in cheaply providing quite interesting living spaces for my hamsters. I combined various second hand cages together by means of tubes of weld mesh for example; leading from a hole in a mesh aquarium lid to one of the doors in a traditional wire cage. It was not the easiest thing in the world to transport, but was cheap and gave the hamster plenty of space. If you have Syrian hamsters for long you will very likely have one escape - they are surprisingly strong, agile and determined. As you can see from the picture on the right one of my hamsters easily mastered the trick of squeezing up between the wall and radiator to emerge at the top of the radiator. 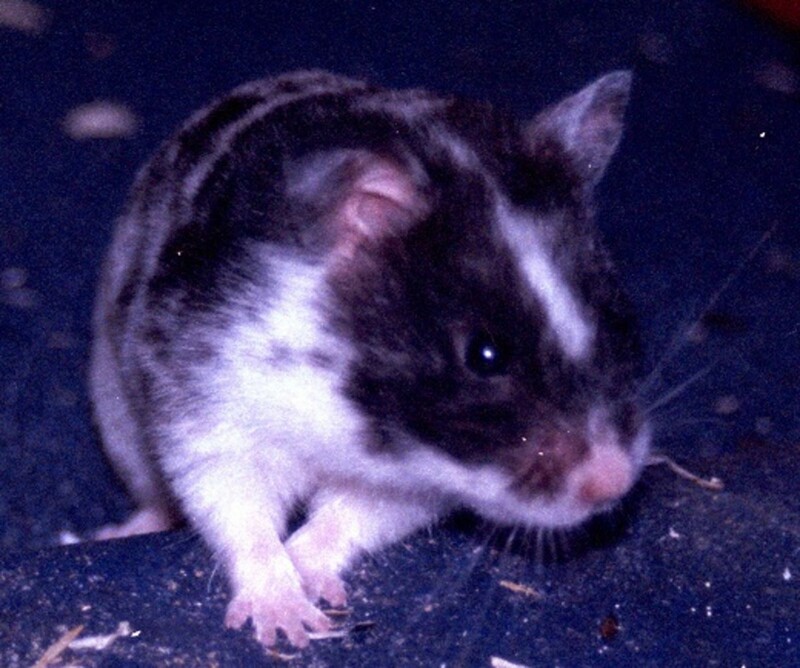 Quite well known at the time of the incident over 20 years ago, several hamsters escaped from a pet shop in Bath, England. When pest control was later called in to sort out a rodent problem in the street 270 hamsters were trapped. They had been living under the floorboards in the shop and adjoining properties. The original escapees had gone forth and multiplied! To capture an escaped hamster you could use a 'no kill' small mammal trap. These usually have a trip door system to prevent re-escape and a compartment for the hamster to wait in - bedding and a bit of carrot will keep it comfy in the mean time. Check the trap at least every 8 hours. Hamsters are very curious creatures so you could rig up your own trap, for example a stairway of books leading into a slightly angled steep sided container such as a waste paper bin with bedding and food at the bottom. This should be placed next to the wall of a room where your hamster was last seen. Because they are prone to escape and general rodenty mischief (mine chewed a pile of my school books) if allowed loose in a room, lots of people opt for a hamster ball to allow them freedom to explore with out getting into the space behind the cupboards or between the floorboards. Allow them 20 minutes at a time in the ball - they will want a comfort break by then and the chance to drink and snack. Even with a ball some hamsters make it to the great outside such as Roly, who was found in his exercise ball running along the M6 (UK) motorway. I found that the hallway, with all doors closed, is the safest space for my hamsters to roam free without being confined to a ball. They can be remarkably adept at scrambling up and down stairs so makes sure upstairs and downstairs doors are shut and that everyone else in the house knows the hamster is out. In the wild hamsters have to cover quite a distance finding enough food. As pets they still like to exercise and one of the most used hamster toys is an exercise wheel which many hamsters will use every day. If you keep your hamster in your bedroom you will probably want to buy the quietest wheel available. The Superpet Silent Spinner is definitely worth a go. Hamsters also enjoy going through tunnels - you may use cardboard tubes and boxes from home or buy some interlinking ones from the pet shop. There are all sorts of chew toys available for them to gnaw on but you could cut them a hamster sized chunk of apple wood or willow from your garden as an alternative. 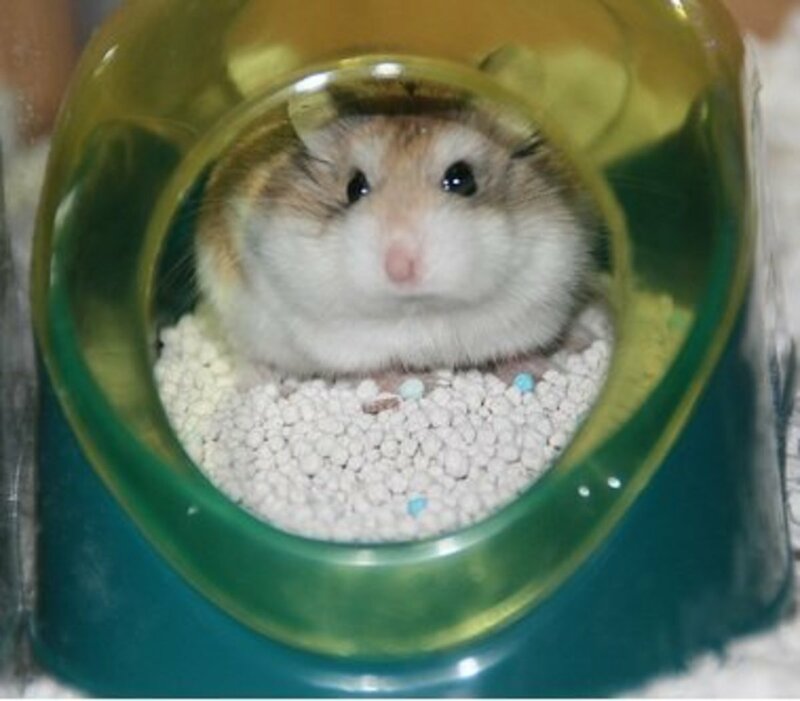 You might find your hamster enjoys manipulating a small food dispensing ball to get it's daily rations or you could try stuffing a mini kong toy with a mixture of bedding and hamster food and a challenge for your hamster. Although hamsters eat a mainly cereal and seed based diet – these being ideal for storing in their food caches – they are omnivores and enjoy the occasional treat of a tiny bit of lean beef mince or a mealworm. I remember being very surprised that one of my hamsters eagerly munched a spider which wandered into his cage before I had so much as half a chance to get the spider out. An extruded food or conventional mix? Extruded foods are a pelleted diet formulated to provide all a hamster needs, conventional hamster mixes include a rodent biscuit, grains and sunflower seeds which together provide all the hamster needs. Whichever you choose offer a tablespoon of food each day. You might choose to put this in a bowl or scatter it around the cage thought that your hamster has to hunt around to find it a bit like in the wild. One thing hamsters are famous for is storing surplus food for later. They often choose their beds as their store. To prevent the stored food from spoiling throw it out weekly when you clean the cage. If your hamster has a lot of food stored after a week you may be offering it too much. This can lead to selective feeding whereby your pet just picks out its favourite bits to eat and so doesn’t get a balanced diet. However if your hamster is losing weight and has food stored it could be unwell so take it to see a vet. Which Hamster Food is Best? Do you think Syrian hamsters make good pets? I would recommend avoiding the commercially available hamster treats in favour of any of the following. Treats should make up no more than 5% of the total diet. The important thing with treats is to remember how tiny your hamster is and to treat accordingly. Be cautious about offering fruit or raisins as treats. Some rodents are prone to diabetes and though it isn’t known to be a common problem in Syrian hamsters a lot of sugary foods could cause it. A single berry, such as red current, small blueberry or raisin twice a week shouldn’t cause any problems. Veg - cucumber, broccoli one or two peas or sweet corn kernels, carrot and beansprouts. In general Syrian hamsters are very healthy pets and over 25 years of keeping them I can recall only having to take one to the vet. However there are some conditions it is worth being aware of. Proliferative ileitis can cause the death of the afflicted hamster. 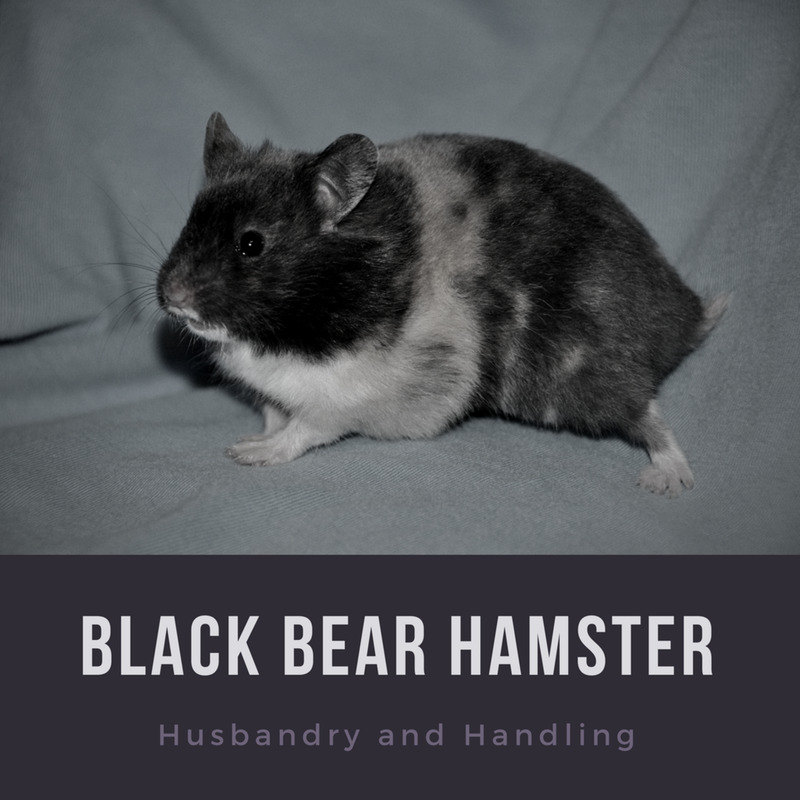 It is more common in stressed animals, hence in pet hamsters it’s most common in young hamsters which have recently gone through the stress of being weaned, moved to a pet shop and then moved to a new home. If you think your hamster has wet tail it needs to be seen by a vet who will supply appropriate medication and electrolytes alongside advice on how to keep your hamster hydrated whilst it is unwell. 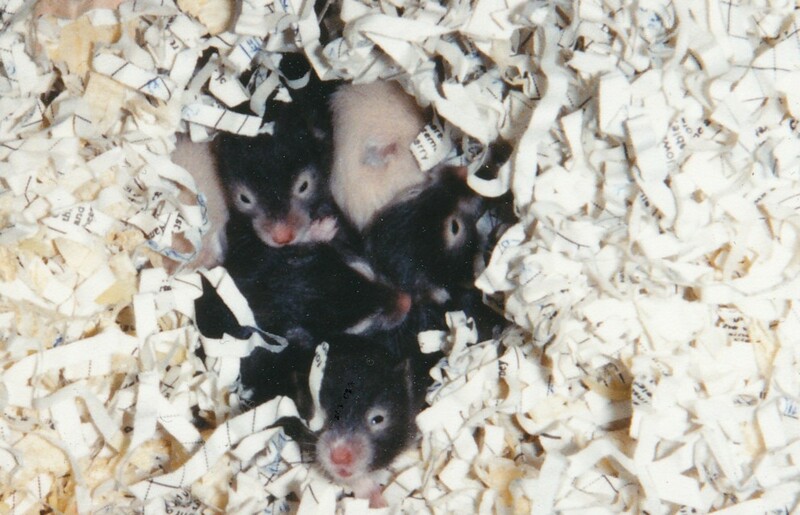 In adult hamsters a milder form of diarrhoea occurs caused by Clostridium difficile bacteria. It is also often described as wet tail but much less likely to be fatal provided it is treated. Diarrhoea brought on my too much green food or fruit can usually be resolved by eliminating these from the hamsters diet until it has recovered and then reintroducing them in very small quantities. Sometimes a hamster’s incisor teeth at the front of their mouths grow faster than it can keep them gnawed down, overgrow because they don’t have enough to gnaw on or one breaks causing the growth of the opposite teeth to be uneven. Overgrown teeth need clipping – by yourself if you feel competent and have observed it done by a professional or by a veterinary surgeon. 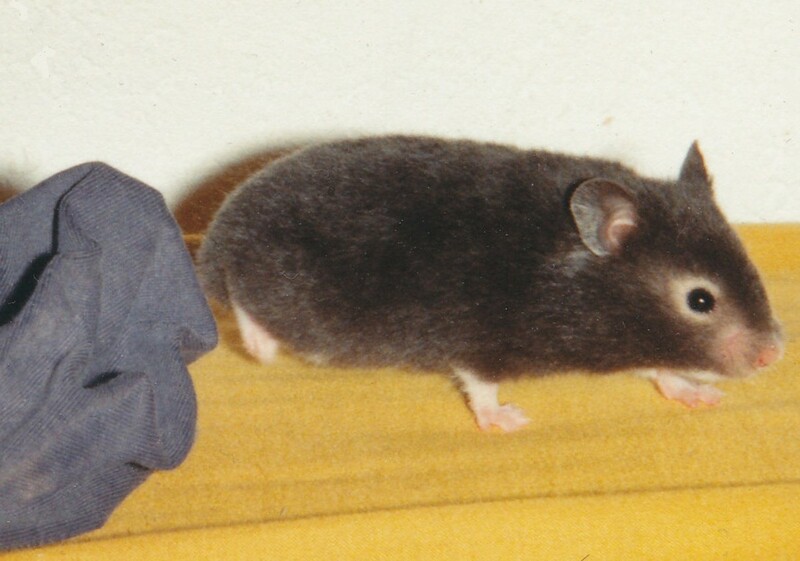 Usually a hamster carries all the food that it has gathered back home to bed and then completely empties it’s pouches, sometimes it is unable to do this, usually because it has too much soft or slightly melty food like chocolate treat drops in there or sometimes because a pointy seed gets stuck there. If this stays in place for a couple of days it may cause and abscess or start to go mouldy and need clearing out and washing out by a vet. 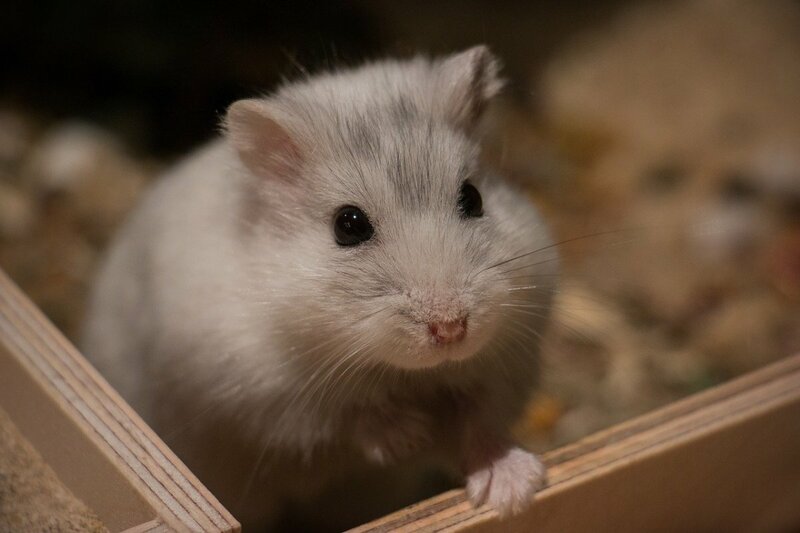 Not all that common in hamsters, but if you observe patches of dandruff or baldness or your hamster is scratching more than usual your vet should check it out for mites. Not an illness but it can be worrying for an owner. Hamster hibernation is usually triggered at temperatures below 5°C or 41°F (Merck Veterinary Dictionary 2011). The hamster falls into a deep sleep with little or no movement. Unfortunately hibernating hamsters sometimes get buried in the mistaken belief that they are dead. However 10 minutes in the warmth of your hands should be enough to start to wake a hibernating hamster and then you need to try to keep the area its cage is in warmer than before. Ideal temperature is 10-25°C (50-77°F). Although wild hamsters are desert animals they protect themselves from the heat by spending the day in burrows and only emerging during the night. Please note that pet hamsters are susceptible to heat stroke especially if kept on a sunny windowsill in a glass tank or the cage is sited above a radiator. A hamster suffering from heatstroke will be quite still but trembling. Dampen a cloth with cold water to wrap the hamster in and take it to the vet if there is no improvement within 10 minutes. should i have a hamster? I found a small spider in my hamster cage today and yesterday, where are they coming from. I just recently lost my second russian dwarf hamster (Peaches) and had another russian dwarf previously (Pheobe) so this time I decided to go with a fancy bear (orange and white) syrian hamster to see which I preferred. She is asleep right now in her new tank as I write this. Just wanted to say though, about the 2 Russian Dwarfs I had, that neither one of them ever escaped. I was aware of the possibility though when I got them so kept a sharp eye on them to find out what I needed to do with the travel cage, the playpen and the every day cage. Will do the same with the new Syrian but I do need a little help from someone in deciding on a name for her. She is an orange and white fancy bear and had a unique orange 'splash' pattern on her spine. Any ideas??? I have one Syrian hamster named monti and this was great help to get me started on the challenge of taking care of a Syrian hamster. Do syrian hamsters get stuck in tubes that come with the colourful cages. Because I have heard that those colourful cages r small for then so I want to gt the regular cages that have no tubes but then I'm thinking won't my hamster be bored in there? A good age for a hammy, although it's sad to lose them when they are such characters. Thank you very much for the share in his honour! Our hamster died today, at the grand old age of 2 and a half! I've shared this hub on Facebook and Google+ in his honour. Hi Leahlefler it's good that you're thinking carefully about whether to get a pet or not for your boys. It can be hard coming to a decision not to have a pet because of the time factor, but it's better than having one and feeling you're not giving it the time it needs. Keeley they do make a good first pet, entertaining enough to keep children interested and give them a sense of responsibility, but not so onerous to care for that parents have a pick task on if the child loses interest. Good luck if you decide to have one. Koralee - sorry to hear you lost your ferret recently I know they can be very endearing and engaging pets, perhaps a hamster would help fill the void a little. Stephanie thankyou so much for commenting about the layout, I juggled it about loads trying to work out what would be best, so I'm pleased you liked it. Melovy, thank you for the revisit and congrats. Jennzie - it's great to hear from someone who has worked with lots of hamsters and experienced their escapery! Hui thank you for your appreciative comments, I enjoy writing from first hand experience and always get a lot of pleasure from observing my pets. Rebecca, Summerberrie and Marcy - thank you for visiting and commenting so positively. Tobint - you are right about cats finding hamsters very interesting indeed. It helps to have a room you can keep the cat out of so it doesn't try getting into the the hamster cage - not easy though if they try to sneak into the room at every opportunity. Melissa - the plus with some people not wanting them as pets is that there are more left for those of us who do want them! A few people in your poll don't like 'the idea of keeping them as pets'. What a shame. Cool little animals, problem is I don't think my cat would take to these mice lookalikes very well! Great hub and congrats on being Hub of the Day. I'm in love with those photos! I want to get a few of these little guys now, after reading your excellent hub. Congrats on the HOTD - so deserved, and such a great job. I had never heard of the term Syrian hamster, but I've heard of 'golden hamsters,' so I really learned a lot here! So very cute. Nice hub and well done! Cute little critters. Congrats on HOTD. Well deserved! Lovely pet, and smart choice! More importantly, a good writing was achieved based on really attending such a pet and carefully observing. Great! I love these little guys! I used to work at a pet store so I know firsthand what great escape artists they can be. Very informative hub- voted up and useful. Just stopping back to say congrats on your Hub of the Day! I love rodents. While I have heard of golden hampsters before, I never knew they were called Syrian hampsters. Your hub has a great layout and loads of information. This was awesome to read, useful and interesting. Congratulations on your Hub of the Day. I haven't had a hamster for years, but now you have me thinking... We recently lost our ferret and that was horrible. I found it very interesting and hamsters are susceptible to heat stroke, that is something I never would have thought. Thanks for the Hub, I voted up and interesting. Congrats on Hub of the Day! Such a well written and informative hub. Maybe hamsters would make a good pet for my boys. They have asked on many occasions. This is a great hub! I don't think we'll get Syrian hamsters for our boys, mostly because we don't have the time and energy to care for another pet. They are so very cute, though! 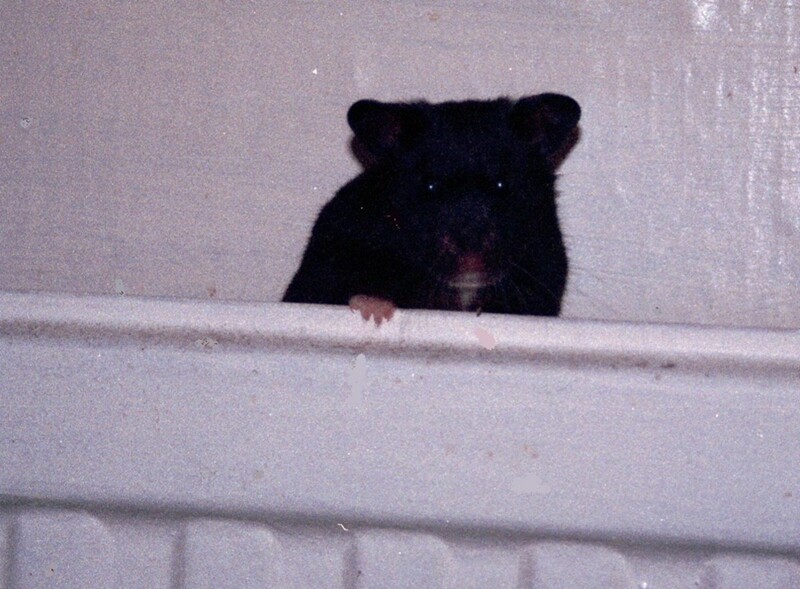 I had a hamster (not Syrian) growing up, and she was an escape artist. It took some experimentation with cages to find one she couldn't break out of. She managed to get out of every plastic cage we owned, so we ended up with an old-fashioned cage made with metal bars. Thank you for reading and commenting Jeannie and for introducing Mimi - I hope she enjoys a long hamster life. Hi Chirstina - it sounds like you've had good experiences of hamsters in spite of the escapes! Thank you for visiting. This is a very useful hub for anyone considering getting a hamster for the first time. 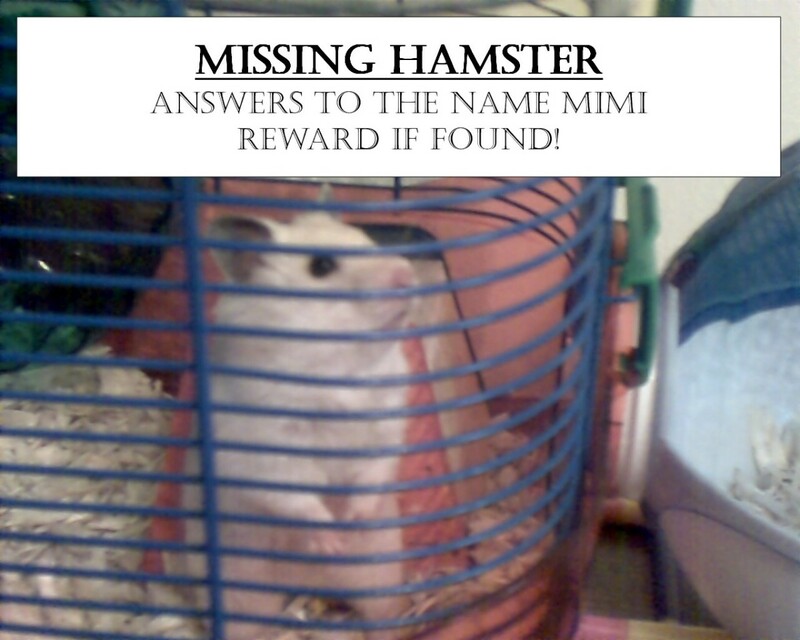 I have an adorable hamster named Mimi, and before her, Bella and Daisy. Great hub and voted up! v1p3r - thank you for reading and voting. 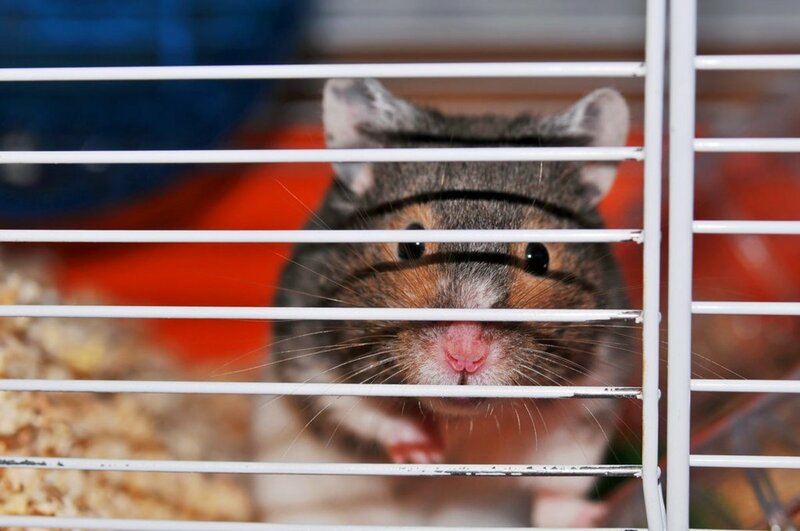 pstraublie48 - it sounds as though you've had lots of fun with hamsters over the years - I agree with you that they all seem to have been trained by Houdini though - I don't think there are many people who've kept hamsters without having one escape! You have covered caring for hamsters and their little surprises (escaping) well. This is like a mini-handbook for those considering adopting a hamster and even for those who have them and need a few tips. I will share this with my family and I may even get one so my grandson can watch it when he comes to visit. We will have supervised visits of course. 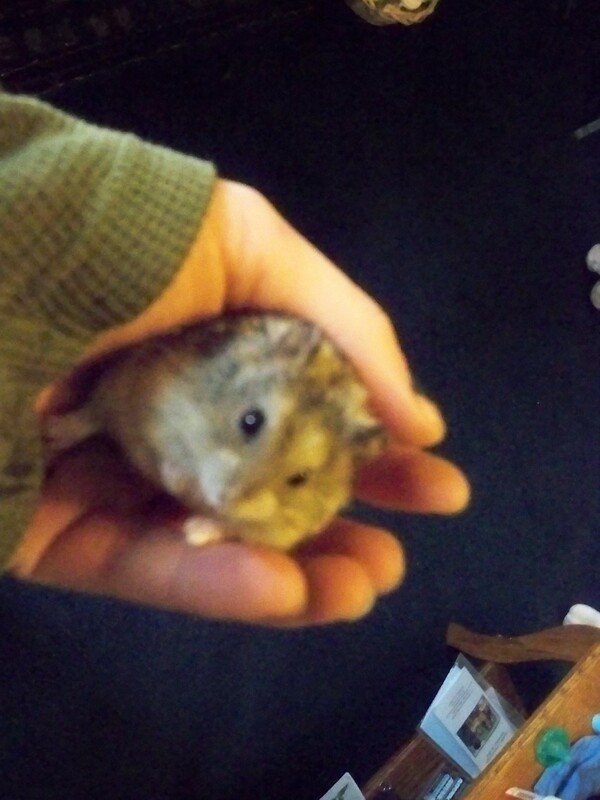 We had hamsters when my eldest grandson was a little one and he enjoyed them so much. Our little guys must have been trained by Houdini as they were masters at escaping. Thank you for sharing. Thank you for the useful comment on the Habitrail system Alicia - I've seen them but not used one myself, so it's good to know it worked well for your hamster. This is an enjoyable hub, Nettlemere, and it's very useful too. I had a Syrian hamster when I was a teenager, and he loved his Habitrail network. I've never seen a hamster ball, though. They sound like a great idea! It is amazing what they get up to - a lady I knew had hers living in the car for a while because it escaped like yours did. It was a couple of weeks before she re-caught it. Yours is certainly a good age for a hamster. Thank you for visiting. This was useful and interesting. We have had a Syrian hamster for almost 2 and a half years, and he's still going strong. He almost chewed his way out of the cardboard box on the way home and once managed to get inside a sofa, but had never done anything as daring as Roly.